President George Bush (41), who is known for wearing unusual socks, donated a new pair of socks in support of our mission. We hope to auction them off and raise lots of money. 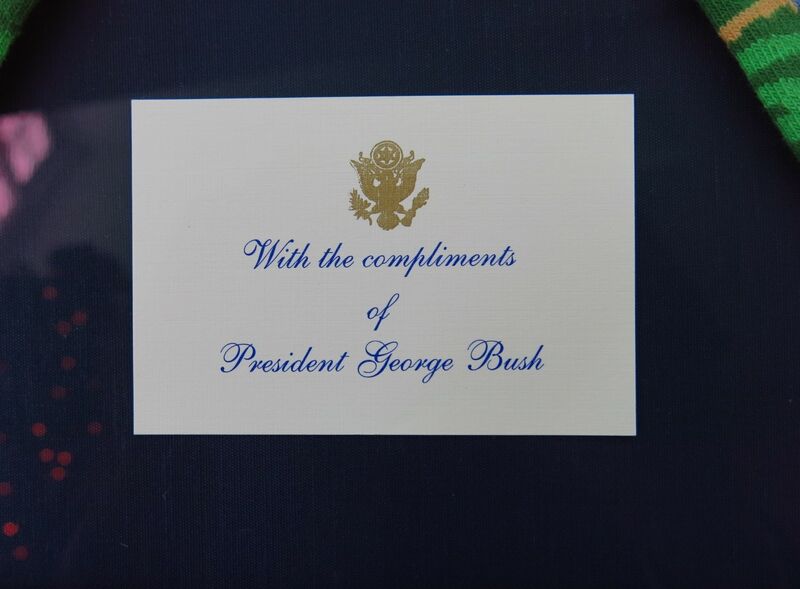 The pair of socks were beautifully framed (see photo top) and includes the note card from the President (see photo bottom). The frame measures about 23 ⅞ inches wide by about 25 ¼ inches high. 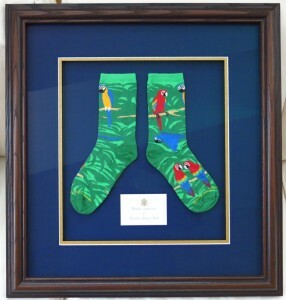 The framed socks really look…presidential! Comcast Newsmakers was nice enough to do a show where Tom Costello Jr, Chief Sock Person, talks about the importance of socks for the homeless, President George Bush’s socks and how people can help. The YouTube video can be seen here. 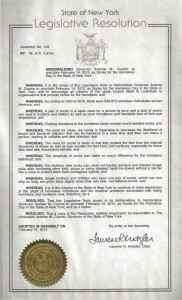 Thank you President Bush for helping us make lots of homeless toes healthy and happy toes! This is really super! The Joy of Sox recently qualified for a 2013 Top-Rated Nonprofit Award. 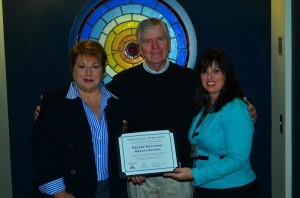 The award, from GreatNonprofits.org, is a great honor that is given less than 10% of eligible nonprofits. A special thanks to all our donors, board members and volunteers who helped, and continue to help, make us a get nonprofit! 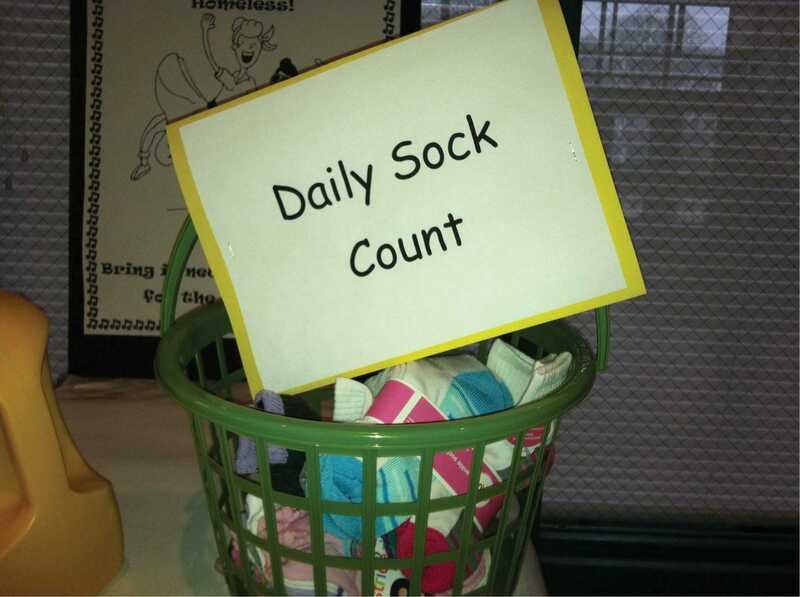 Conducting sock drives is a fun activity and a great way to both raise awareness of the plight of the homeless and the problems they have from not having new socks. Sock drives can be held in your school, church, workplace, favorite store…or anyplace. Comcast graciously had Tom Costello Jr on their ComcastNewsmaker program for the Philadlephia region. The show, hosted by Laura Jones and arranged by Jen Boyett, runs 4:30 and allowed Tom to answer some questions about The Joy Of Sox and their mission of providing new socks for the homeless. The clip of the show appears below. It’s great to see a large corporation like Comcast give back to the community. And we were very fortunate to benefit from their sense of corporate social responsibility. The service center in Aston, PA held a sock drive earlier in the year and to our surprise the Comcast Foundation recently sent us a nice donation to show their support for their employees and The Joy of Sox. The photo on the right show some students from Villanova University that helped sort, pack and deliver some of the new socks to homeless shelters around the Philadelphia area. Thanks so much Comcast for helping make homeless toes happy toes! 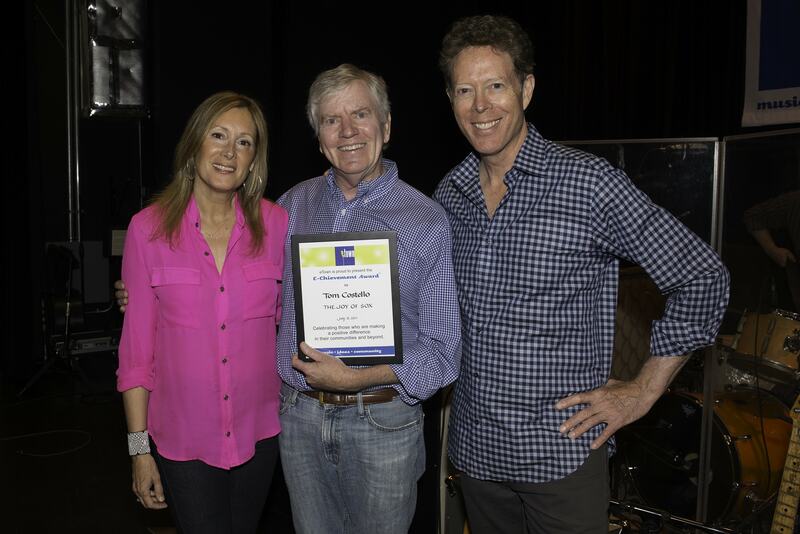 The Joy of Sox® was honored with eTown‘s prestigious e-Chievement Award® last week in Boulder, CO. Nick and Helen Forster, founders of eTown, made the presentation to Tom Costello, Jr , Chief Sock Person. eTown is also a nonprofit and has the mission of combining music, ideas and community. They hold a weekly music session where artists perform and are then interviewed by Nick. 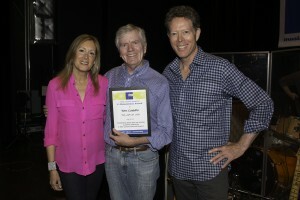 On the evening when Tom received the award the first performer was John Fulbright, a Grammy nominated singer. Following John’s first set he was interviewed by Nick then played another song. Tom then went on stage and had a nice conversation with Nick about the mission and impact The Joy of Sox has on the homeless. Helen and Nick then presented the award. After the award Bahamas did a set and was also interviewed. 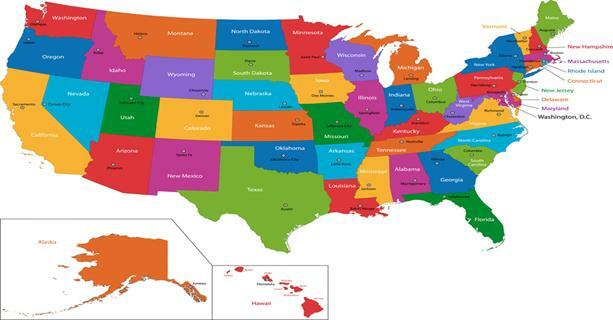 The show will air on over 300 stations from September 25th – October 1st across the US, depending on the day and time that the individual affiliate stations air the show. Many stations also stream over the web, so you can listen from their websites, anywhere in the world. eTown also podcasts the show. To find out how and where to tune in you can click this eTown link. A super thanks to eTown – especially Helen, Nick, Steph and Margo – for recognizing The Joy of Sox and the work they do providing new socks for the homeless. The Joy of Sox presents a certificate of appreciation to members of the Order of Eastern Star for collecting new socks for the homeless during their sock hop event in Valley Forge, PA. Pictured L to R: Joseph Lee, Janice C. Harvey, Tom Costello Jr (Chief Sock Person – The Joy of Sox), Claire Murphy, Dr. Murphy J. Keiler, III. The Order of Eastern Star held a sock hop in Valley Forge, PA. Members were asked to bring new socks for the homeless to benefit the nonprofit The Joy Of Sox. Rowinea (Ro) Wooten was co-chair of the event for the Deborah Grand Chapter and did a spectacular job organizing their event. Over 400 pairs of new socks were donated and they will be delivered to shelters in the Philadelphia, Harrisburg and Pittsburg areas of Pennsylvania. 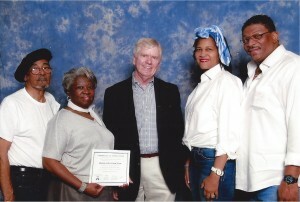 The picture on the right shows a certificate of appreciation that was presented to members of the Order of Eastern Star for collecting new socks for the homeless during their sock hop event in Valley Forge, PA. Pictured L to R: Joseph Lee, Janice C. Harvey, Tom Costello Jr (Chief Sock Person – The Joy of Sox), Claire Murphy, and Dr. Murphy J. Keiler, III. 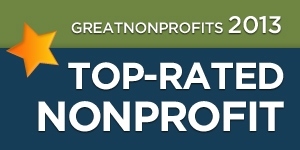 in the nonprofit world it is almost considered criminal if they even say the words marketing and advertising? 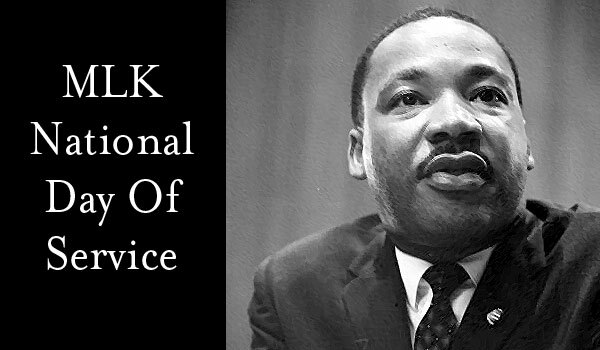 Below is a great TED talk given by Dan Pallotta that addresses the “discrimination” that nonprofits face in the areas of: hiring, advertising and marketing, risk of pursuing new ideas, time frame for success, and making a lot of money for their cause. It’s really special. Please read or listen to it and let me know your thoughts. For just a link to his talk click here. We will be periodically adding comments about Dan’s talk and how it relates to the real world problems of getting financial support for items like operations, advertising, and the dreaded word….overhead. Again it’s the discrimination thing that nonprofits face in raising funds. In general people think that nonprofits should minimize the amount they spend on overhead (advertising, marketing, IT, salaries, etc…). But take any successful company from Apple to Zappos…where would they be without spending or investing massive amounts on advertising, marketing, IT and salaries? So would an “investor” in The Joy of Sox, who really wants to support our mission of providing new socks for the homeless, really want us to spend the minimum on fundraising. For example, would they rather have us put up posters in the local convenience store advertising our bake sale fundraiser and net $250. But hey, we only spent 2% from the fundraising budget. Is that the success they are looking for? Or would more good be accomplished if we held a huge fundraiser and raised $250,000? But someone with the eye of the “nonprofit police” may complain that we spend, heaven forbid, 40% on fundraising. But we netted $250,000!!! It’s the results, not the overhead! What’s wrong with the thinking that nonprofits need to minimize overhead expenses, while in the successful for profit world their “for profit police” look for at the results and aren’t overly concerned about what percentage of budget went into a marketing item. In order for the nonprofit sector to prosper and grow we must change the thinking that it’s not the percentage that goes to pay, say the the PR firm, but rather the number of people who are helped by our program! A local chapter of Charms Incorporated presented Tom Costello Jr, Chief Sock Person of The Joy of Sox, with over 800 new pairs of socks for the homeless. Pictured with Tom are (l to r) Joyce Gibbs, Barbara Monley and Pat Matthews. 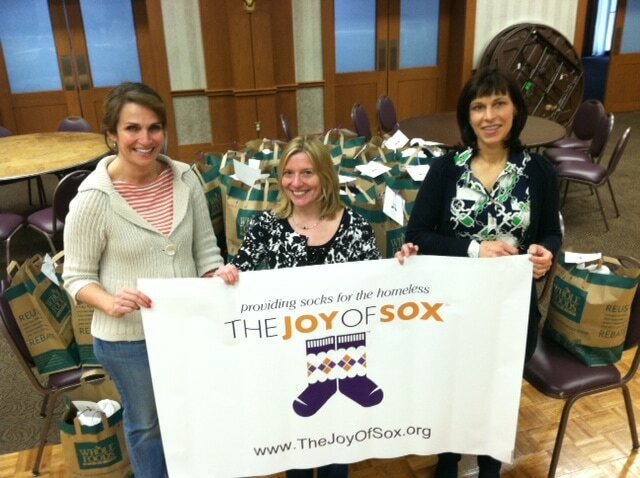 A special thanks to Pat Matthews and her local Charms Incorporated group for holding a sock drive for The Joy of Sox. 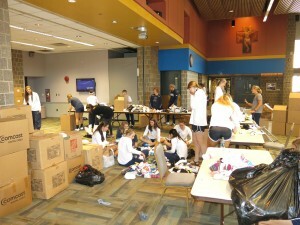 This is the second year in a row that they have collected new socks for the homeless! The over 800 pairs of new socks will be distributed to the homeless of the Philadelphia region over the next two weeks. Thank you so much Joyce, Barbara and Pat! Our map of the homeless shelters around Philadelphia. The flags represent facilities in Philly where The Joy of Sox either presently provides new socks, or plans to provide new socks. 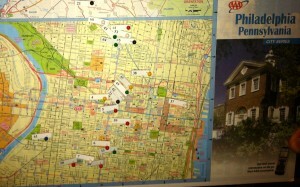 Someone asked about the locations of homeless shelters around Philly. So here is what we use – a map. The pins in the map represent the location of facilities in Philly where The Joy of Sox either presently provides new socks, or plans to provide new socks. The map is actually a lot bigger and covers an area from Trenton and Camden, NJ to Chester and Norristown, PA. This visual helps us when we set up distribution schedules. A special thanks to Samantha McDevitt at Comcast for organizing a sock drive for us for their Comcast Cares program!! Two service centers, Aston, PA and Vorhees, NJ, collected over 3,000 pairs of new socks for The Joy of Sox. These new socks will be distributed to the homeless of the region over the next two weeks. Instances like this, where a large corporation, encourages their employees to get involved in activities that support the local community are really heartwarming. Thank you so much Comcast for taking an active role with your corporate social responsibility programs! 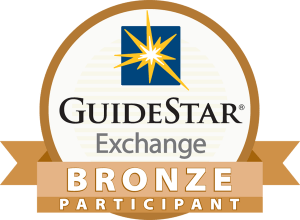 Today The Joy of Sox received the GuideStar Exchange’s Bronze Participant level, a leading symbol of transparency and accountability provided by GuideStar USA, Inc, the premier source of nonprofit information. This level demonstrates The Joy of Sox’s deep commitment to nonprofit transparency and accountability. 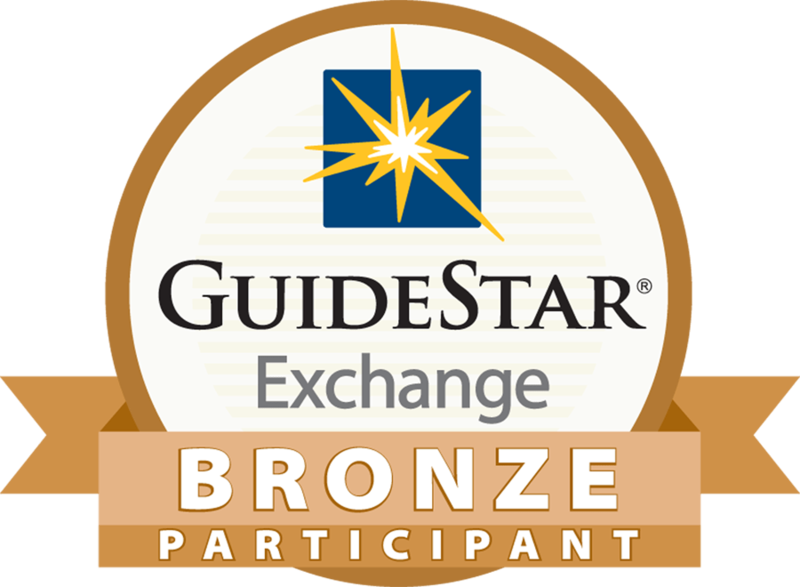 In order to be awarded the GuideStar Exchange logo, we had to fill out every required field of our nonprofit report page on www.guidestar.org for the Bronze level of participation. Eye-opening stories about the importance of new socks for the homeless have been added to our Stories From The Streets page. Read what homeless people Kiwi, Christine, Darlene, Daniel, Has, Ruth and William have to say about the important of new socks. Click Stories From The Streets to read (or listen) to all of them. According to Kathy at the Hospitality Center in Norristown, PA they served between 1,000 – 1,200 distinct clients at their shelter in the last year. Yet according to HUD’s 20111 Point in Time Estimate of Homeless (12/2011), page 21, there are only 410 homeless in the Norristown area. What’s wrong is HUD truly underestimates the homeless population – in this case by a factor of almost three!! This misrepresentation affects many things…including funding to support social services and the homeless population. PHL17’s Steve Highsmith interviewed Tom Costello Jr, Chief Sock Person at The Joy of Sox on the station’s InFocus show. 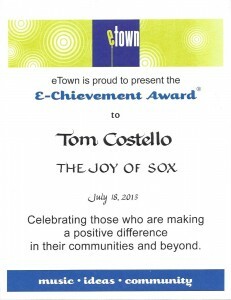 Steve and Tom talked about The Joy of Sox’s mission of providing new socks for the homeless. The video is about 26 minutes so you will probably not look at the entire clip, but perhaps you can try it for a few minutes. This is amazing – recently we have received donations of new socks from SIX STATES (some anonymously). Waltham, MA; Milton, DE; Tucson, AZ; Deerfiled, IL; Sammamish, WA and Brainerd, MN. 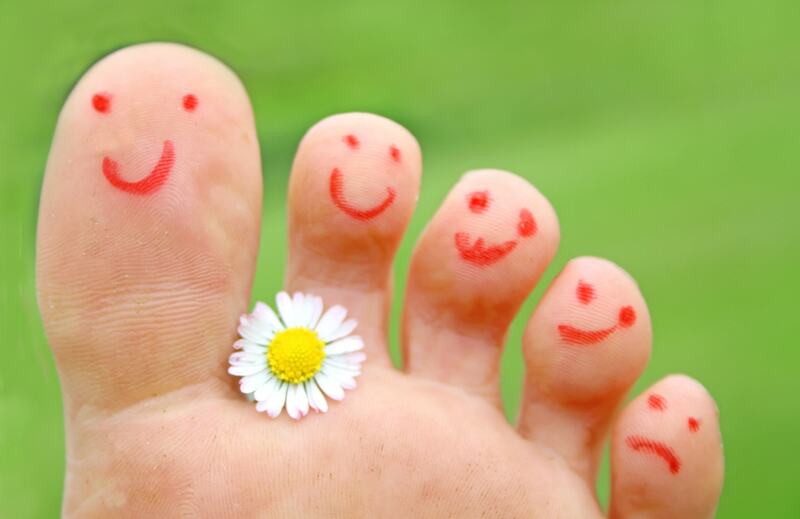 Thank you so much for helping make homeless toes happy toes!! This week was intern interview week! Three students from Villanova University were interviewed to help us during the spring semester 2013. Two interviews were face-to-face and one was via Skype from Belgium! What a great group of people and I am already planning all the wonderful things we can accomplish with such talent on board. The efficiency and reach of our mission of providing new socks for the homeless will definitely expand in 2013. How about “Associate Chief Logistics Sock Person,” or “Associate Chief Organizer Sock Person?” Although we deal with a serious issue (homelessness) we need to have fun titles. Any suggestions? Crozer-Keystone Health System donates new socks for the homeless. Juliette Turturro, one of our board members contacted Katrina Stier, PR Manager at Crozer, and made arrangements for them to conduct a sock drive. 394 pairs of new socks for the homeless were collected and will be distributed to shelters in the region. The photo is of (l-r) Juliette, Tom Costello, Jr, Chief Sock Person, and Katrina. Thanks so much to the staff at Crozer-Keystone and Juliette and Katrina!